Wide-field eyepieces EWF 10x / 22 mm for tubes porta-eye of Ø 30mm. Possibility of fixation. Objectives • Plan Fluarex with correction to infinity (IOS). Factors of increase 4x / 0.15, 10x / 0.35, S40x / 0.75 and S100x / 1.30 (oil immersion). The iScope is equipped with a plate scratch resistant 187/230 x 140 mm with mechanical stage mechanical integrated. Without zipper on the X-axis and displacement the X-79 x 52 mm, with vernier, clamp, clamped samples for clamping of 2 samples at a time and soft close. The standard condenser Abbe N. A. 1.25, height adjustable for bright-field. Allows the future incorporation of sliding of phases simple targets IOS phase 10x/20x or S40x/S100x (immersion). 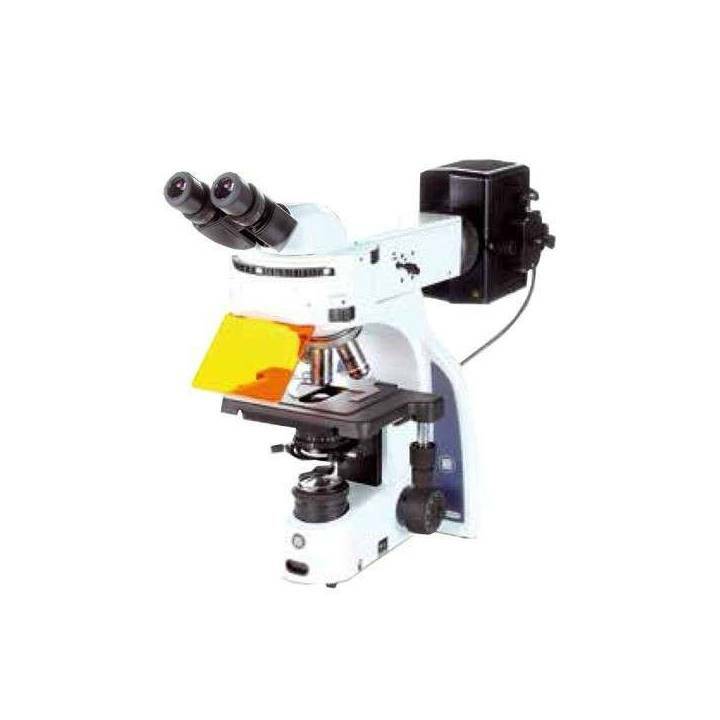 It also allows the insertion of the sliding dark-field up to 400x magnification. Lighting Episcopica composed of a rotating turret, in both senses of 6 positions for positioning fluorescence filters. Comes with 2 filters standard fluorescence: Blue (EX460-490(BP) DM520 EM500 (LP), and Green (EX510-550 (BP) DM580 EM570 (LP)). Plate protective of UV rays. A source of external illumination from mercury HBO and bulb of 100W. Lighting system diascopica Köhler NeoLED 3W. The system Köhler provides the highest possible contrast and the highest resolving power achievable. Generates a uniform illumination of the sample and eliminates all the interference from dust on the lenses and side glare from the light source. Sensor Icare developed to save the consumption of electricity. 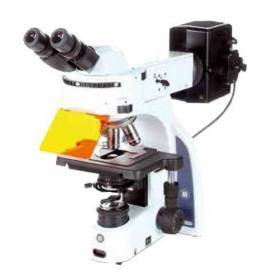 The illumination of the microscope automatically switches off if it detects that there is a person watching with the computer after a few minutes. Supplied with power cable, cover anti-dust, tools, spare fuse,, user manual and immersion oil 5 ml. Plate protection against UV rays. Packing in polystyrene boxes.